Kade Warner gains 57 yards on a first-quarter reception. WHI: Jaylin Bradley 12-57; Miles Jones 3-12; Luke McCaffrey 2-9; Corbin Ruth 1-6; Matt Masker 3-3; Andrew Bunch 4-minus 6. RED: Brody Belt 13-53; Austin Hemphill 6-32; Wyatt Mazour 7-18; Noah Vedral 2-17; Luke McCaffrey 6-10; Connor Ruth 2-4; Adrian Martinez 6-1. WHI: Andrew Bunch 9-21-1-80; Matt Masker 3-8-0-61; Luke McCaffrey 2-5-0-14. RED: Noah Vedral 13-19-1-144; Adrian Martinez 5-9-0-110; Luke McCaffrey 1-8-1-0. WHI: Miles Jones 3-44; Jaylin Bradley 3-13; Ty Chaffin 2-6; C. Banker 2-4; Wyatt Liewer 1-55; Jaevon McQuitty 1-12; K. LeGrone 1-11; Bennett Folkers 1-10. RED: Todd Honas 3-39; Wyatt Mazour 3-22; Kade Warner 2-58; Austin Allen 2-54; Brody Belt 2-19; Kurt Rafdal 2-16; Jamie Nance 2-13; Andre Hunt 2-12; Jaron Woodyard 1-21. The Red squad opened the scoring on the first drive of the game, marching 75 yards in eight plays. A 3rd-and-10 conversion covered most of the yards with Martinez finding Warner for a 57-yard completion. Three plays later, Martinez ran up the middle six yards for a touchdown. It was a day for the Husker family, which is growing both wider and closer. Both the Red and White defenses came to play on Saturday and finished off an all-around strong spring. 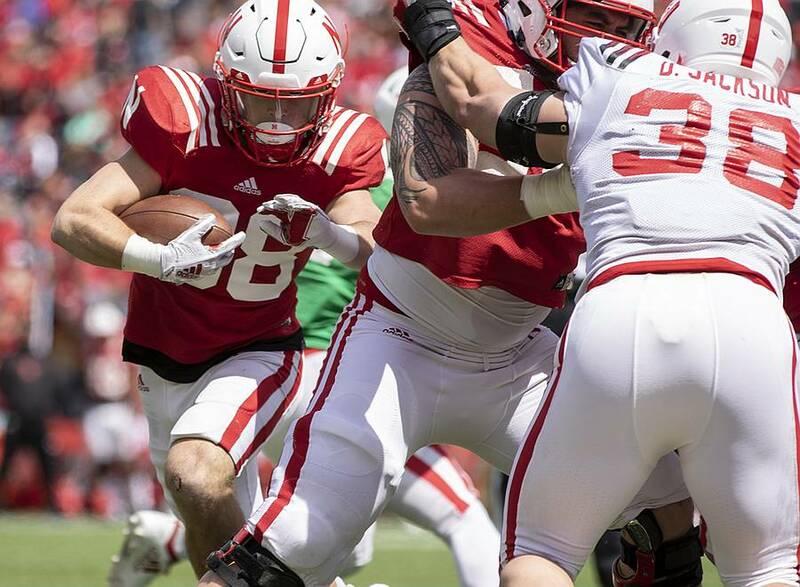 Nebraska appears ready to re-enter the spotlight of college football, and this time there is no fear of wilting in it. 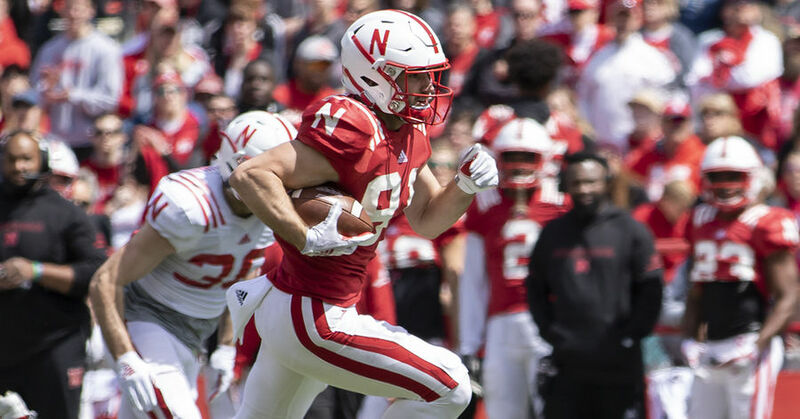 Defensive lineman Darrion Daniels is better than any of the defensive linemen the Huskers had a year ago, and all of those guys have also taken a big step forward this off-season. 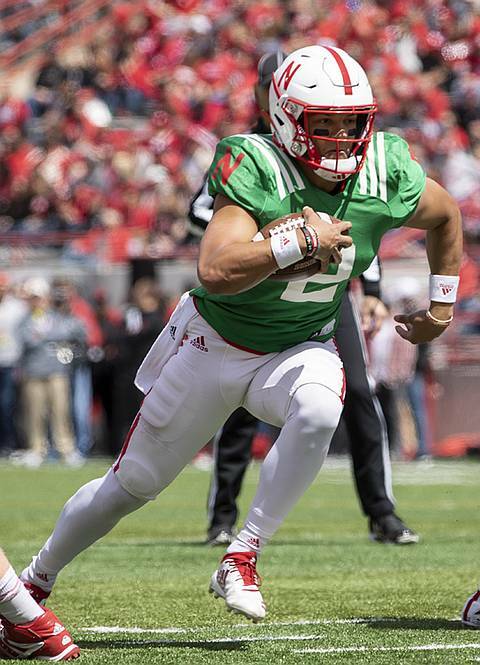 Nebraska’s ticket into the hunt is a rising star quarterback, and a vastly improved defense. Based on what we saw on Saturday, that starts up front. Nobody's saying Nebraska's ready to run roughshod in the Big Ten. But folks seem to like the program's trajectory.